Some people are never happy are they? Despite one of the worse refereeing performances I have ever witnessed, throughout yesterday’s home game against Southampton, there was a small but voluble section of Burnley supporters in my immediate vicinity who did nothing but complain. They complained when Burnley played square passes; they complained when Burnley defenders jockeyed the opponent in possession, rather than lunge recklessly into a tackle; they complained when a pass went astray; but most alarming of all, they complained about Sean Dyche. “Too set in his ways”; “Won’t make any substitutions”; “Too negative”; and (unbelievably), “He doesn’t know what he’s doing”. Whilst I would defend to my dying breath the right of any supporter to voice his or her opinion; that degree of scorn, vitriol and sheer lack of gratitude left a bad taste in my mouth. As a result, I exited Turf Moor in an angry disposition caused as much by those crassly ignorant comments as by Southampton’s ill-deserved late equaliser. 1). Would they prefer that Burnley be back shuffling around in the Championship, hosting the likes of Preston, Barnsley and Burton Albion rather than Manchester City, Liverpool and Chelsea? 2). Burnley are currently the seventh best team in the land, where do they realistically expect the Clarets to be placed given the resources at their disposal? 3). Who do they think would do a better job than Dyche? One comment I heard yesterday claimed that we were better off under Eddie Howe. Howe has done a fine job at Bournemouth, but when he was in charge at Turf Moor, Burnley were so defensively profligate that they were often required to score three goals just to get a point. In fairness, it must be acknowledged that yesterday’s was not the best ninety minutes of football I’ve ever seen and yes, the result and the manner in which it came to pass was deeply frustrating; particularly referee Bobby Madley blocking Ashley Westwood’s route onto an Ashley Barnes’ pass, with the aplomb of an NFL Lineman, and thereby initiating the move which led to the Saints’ equaliser of Barnes’ earlier goal. That said, I am old fashioned enough to believe in the virtues of getting behind your team and supporting them through thick and thin, support which provides the players with the additional juice to see matches like yesterday’s through to a successful conclusion. Most of those complaining voices emanated from bodies old enough to be able to recall the days when Burnley were cash-strapped and going nowhere other than down the drain leading into the Conference. Those “thin” times contrast sharply with the “thick” times of today. It is that lack of historical perspective which angers me the most. This is the best Burnley team I have seen under the guidance of the best Burnley manager in over forty years, all those who call themselves Burnley supporters should be mindful of that plain and simple fact. 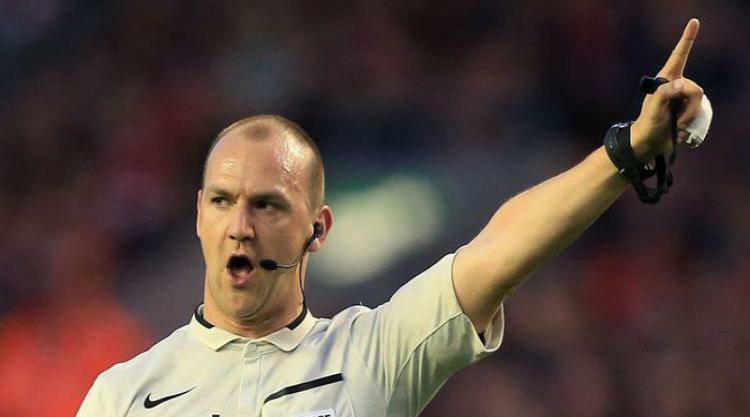 It should also be observed however that pitifully inept referees like Bobby Madley are ruining the Premier League and VAR will not help their cause. This article was written by regular feature writer Dave Thornley and edited from the Editor's Chair on behalf of Clarets Mad. (TEC).